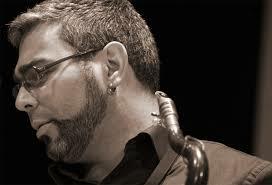 Northampton Jazz Workshop features guest saxophonist Felipe Salles and UMass saxophone students, Tuesday September 8th, 7:30 to 8:30 PM followed by an open jazz jam until 10:30 PM, The Loft at the Clarion Hotel. Thursday, Sept 10, 5:30-7:30pm - Jazz photographer and WWUH jazz radio host Maurice Robertson will have an opening reception of his work at the Butler McCook House and Gardens, 396 Main St. in Hartford. Live music in the garden from 6-7:30pm with saxophonist Rich McGhee and Rahstet with vocalist, Margaux Hayes. All free, exhibition runs Sept 10-October 5. viewing hours go to CTlandmarks.org. See attached PDF for more info.